I’ll be honest, I never grew up celebrating Valentines Day. My husband and I don’t even REALLY celebrate it, but it is certainly growing on me! While I do think we should show our love to our loved ones everyday…I do think it’s so fun and special to have a day set aside just to honor LOVE. Love is a powerful thing! While looking through all your fun link ups from last weeks party I noticed a major theme…VALENTINES DAY! 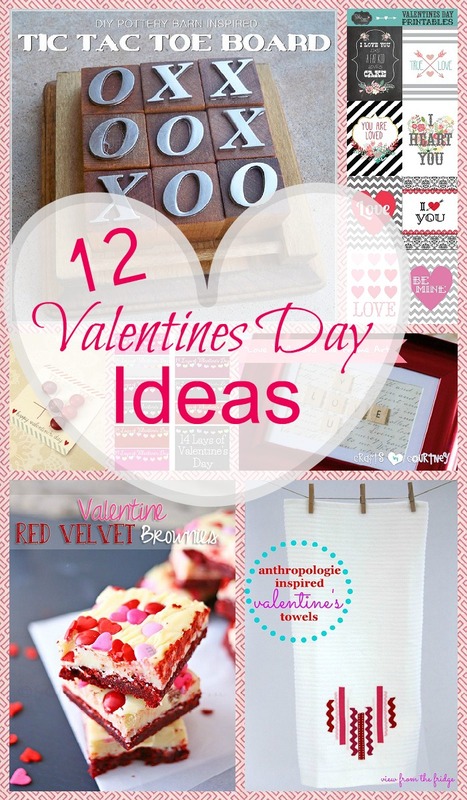 I put together 12 Valentine Day projects that caught my eye! 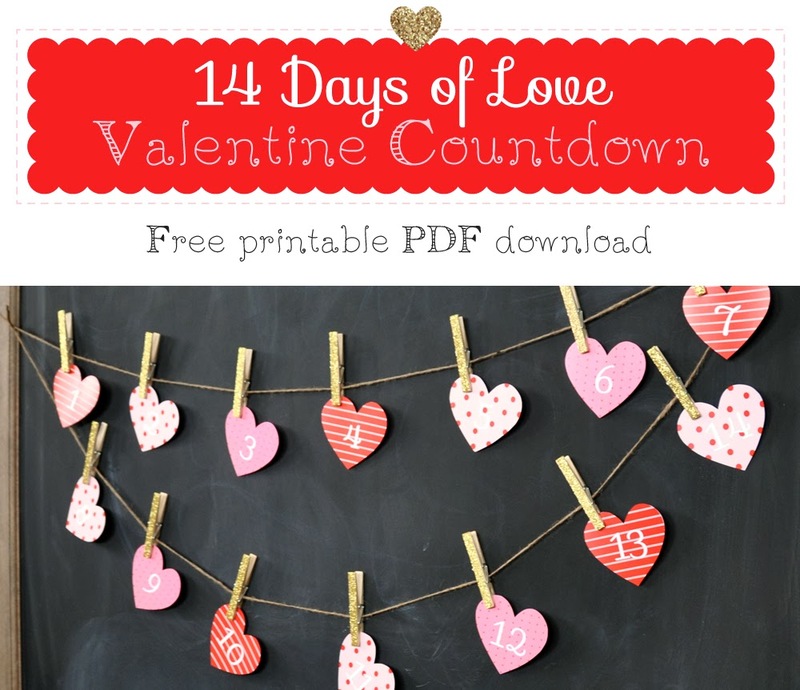 Love the simplicity of this 14 Days of Love Countdown from Holly Brooke Jones! 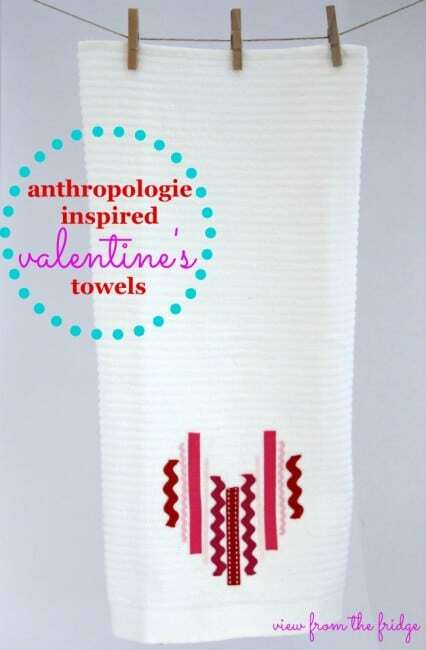 I love seeing projects that were inspired by pieces found online or in stores being made from much less moolah 🙂 Check out this Anthropology inspired hand towel from View from the Fridge. 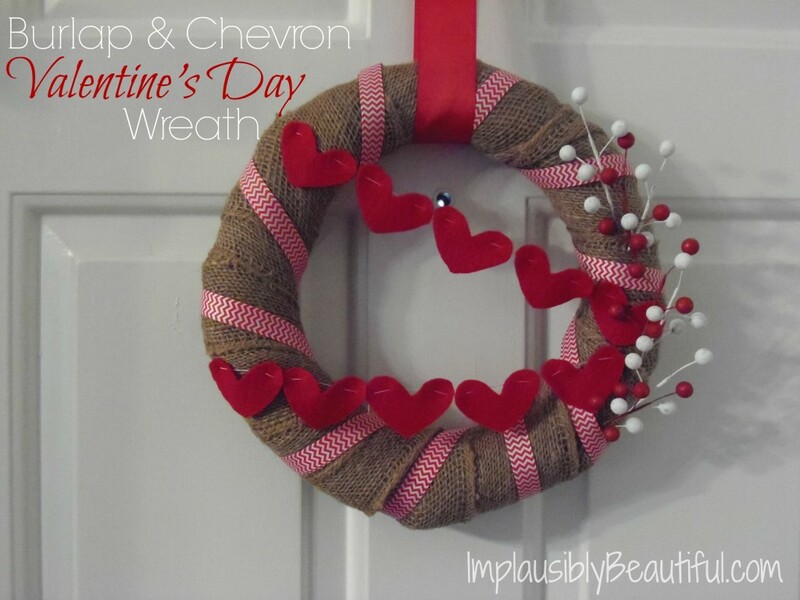 You can’t go wrong when you mix burlap and chevron and this wreath is so sweet! Thanks Implausibly Beautiful! 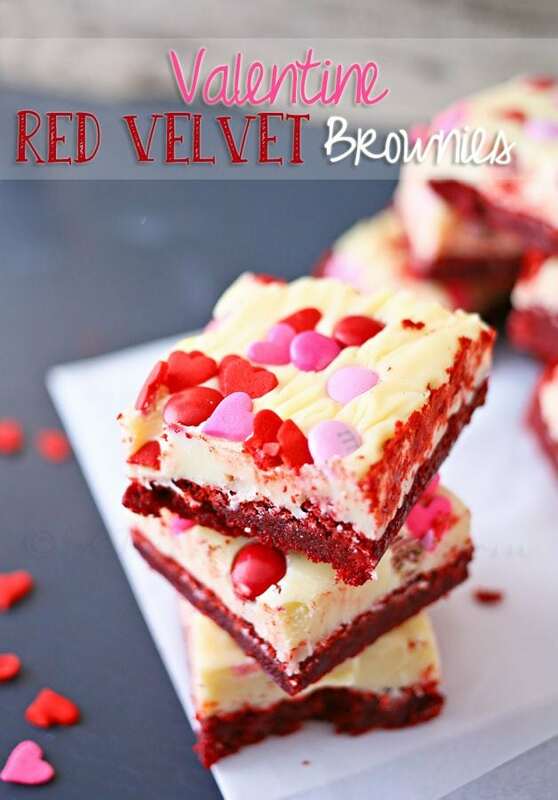 These red velvet brownies from Kleinworth Co are mouth watering and definitely worth splurging on! 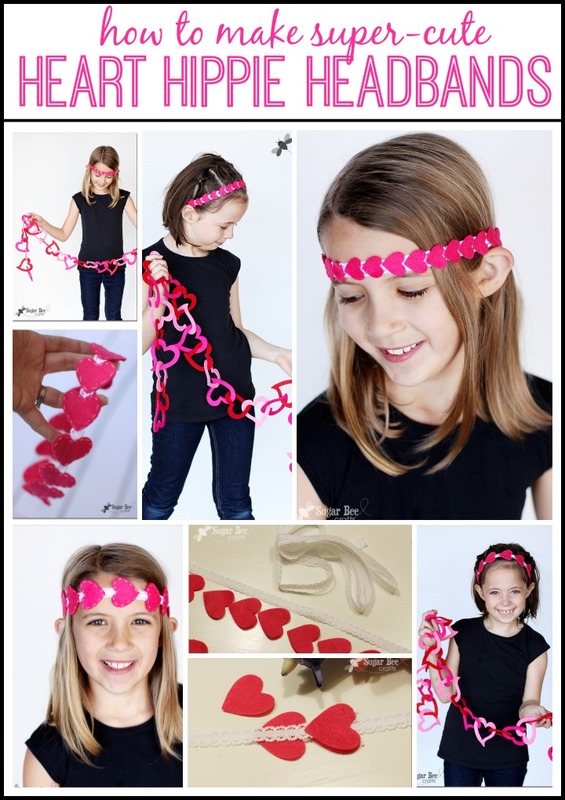 Aren’t these hippie heart headbands ADORABLE! 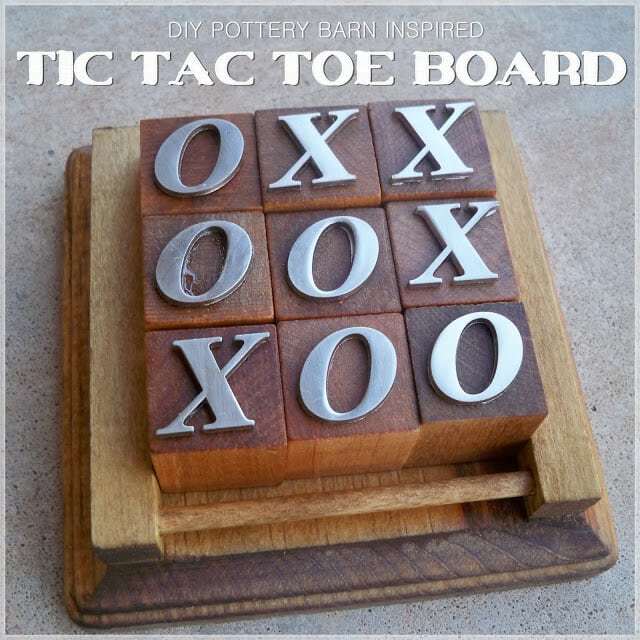 Mandy from Sugar Bee Crafts is always making adorable things for her kiddos! 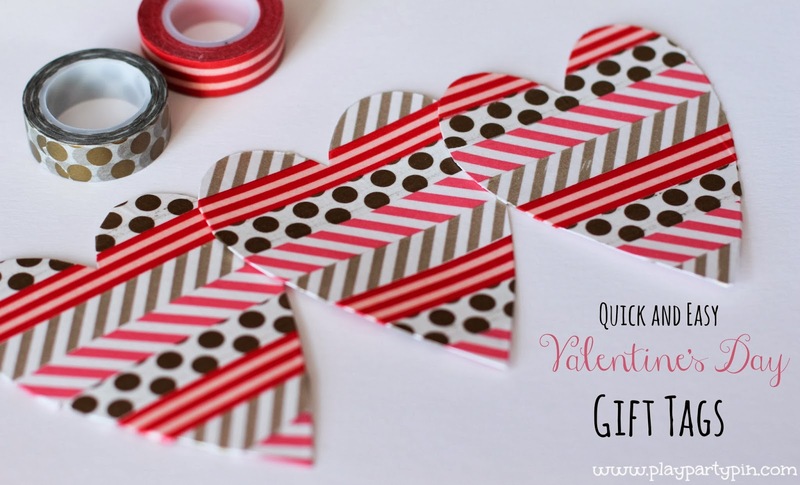 Washi tape is a go to necessity for crafters 🙂 Check out these fun and easy heart gift tags from Play Party Pin. 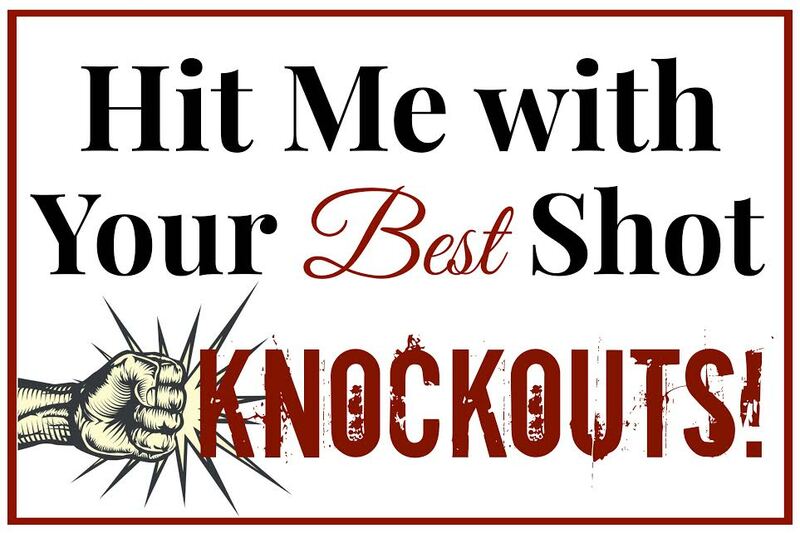 Need some Valentines Day printables? SoHo Sonnet has a bunch of pretty ones for you to choose! 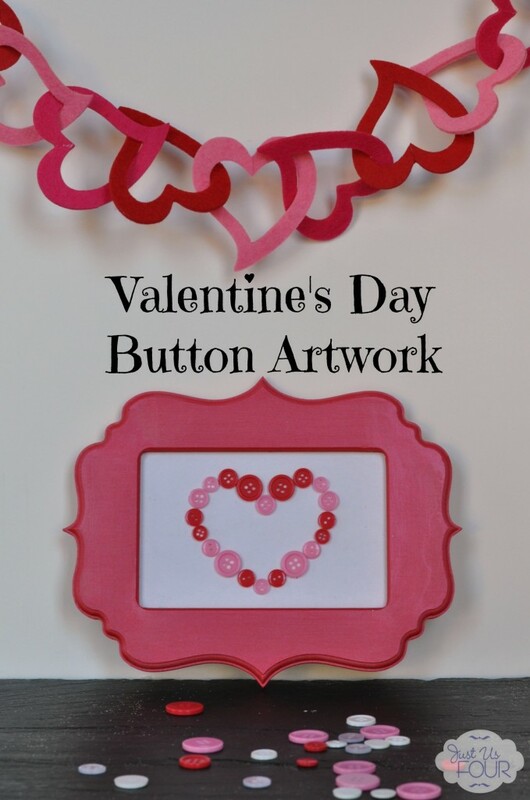 I Love button art and this cute button heart from Just Us Four is no exception! 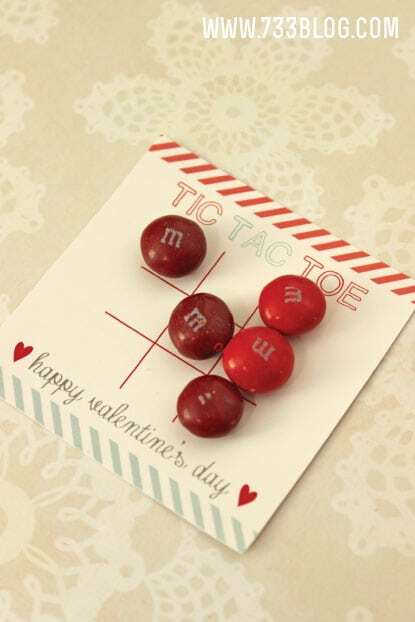 It’s the perfect Valentines day decor! 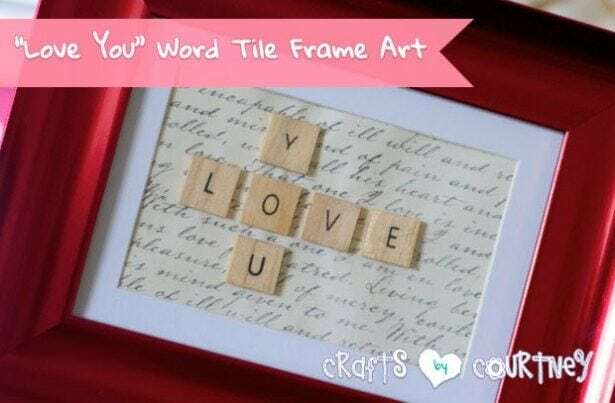 Love this tile frame art from Crafts by Courtney! 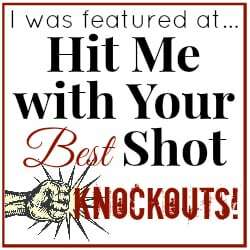 Last but certainly not least, how about some fun printable coupons from While He Was Napping to spice up your marriage! We hope to see you again next Tuesday night at 7 p.m. EST!